The devastating fire at Grenfell Tower in West London in June 2017 is still having a profound effect on the local community, writes Oswin Tickler. Staff from the journalism and publishing courses at UAL London College of Communication recently helped run a zine-making workshop for children whose school neighbours the tower. 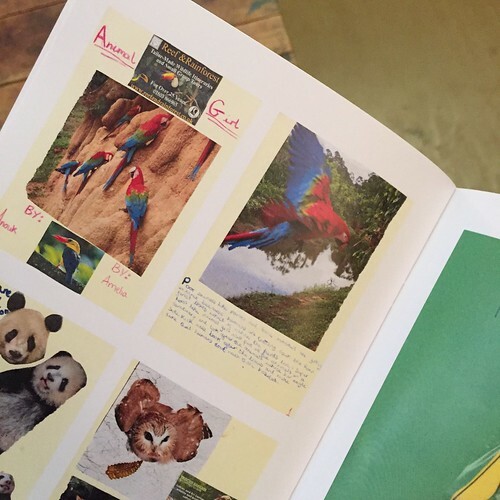 Thirty local children participated in the scheme to create a zine as part of a programme of summer activities at the Playground Theatre in Latimer Road. The workshop was organised by Grief Encounter, a UK charity founded in 2003 that supports bereaved children and their families. 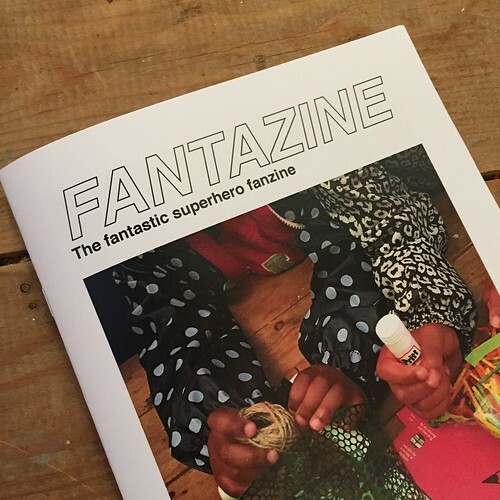 Cover and spreads from Fantazine: The fantastic superhero fanzine, taken by the author. 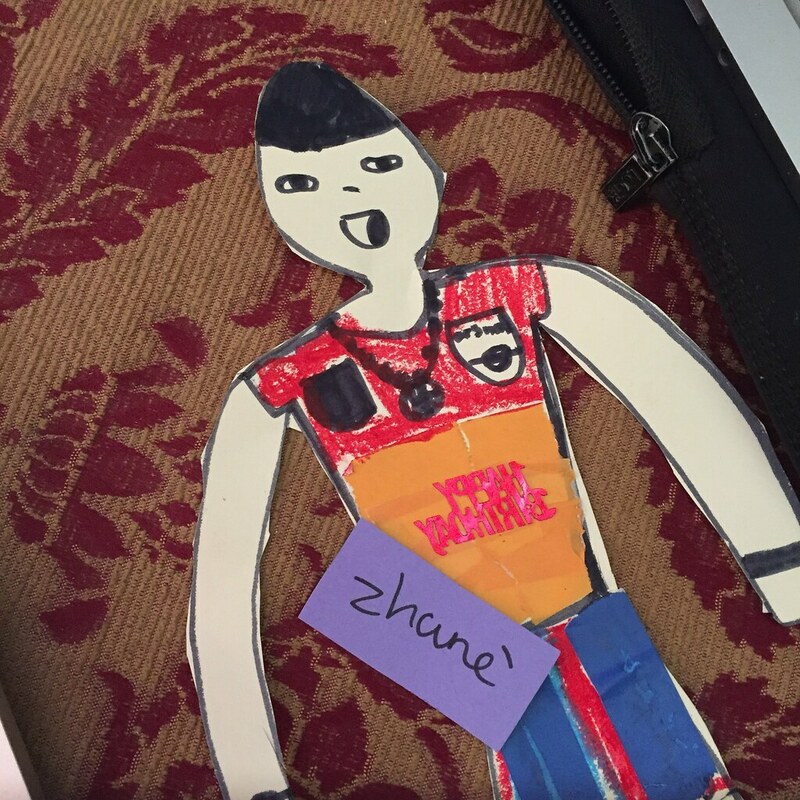 Top: A superhero created by Zhanè. 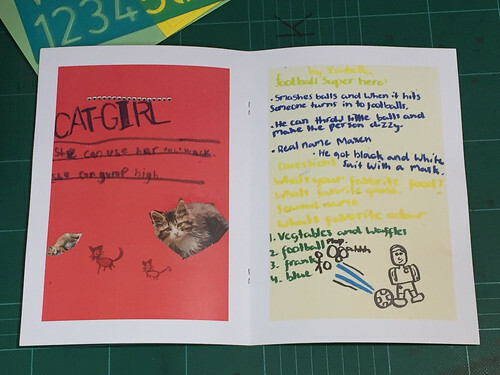 In the workshop, the each child created a page (some created a complete fanzine) based around the theme of ‘superheroes’, whether ‘real’ (Wonder Woman or Flash), or their own creation (Animal Girl). They used a variety of approaches, including handwriting, drawing, stencils and rub-down lettering. Some used old magazines and coloured paper to create collaged pages – sequins and feathers also made an appearance on a few spreads. The pages were then scanned and turned into a zine on site, under the children’s supervision. They were then printed at the London College of Fashion. 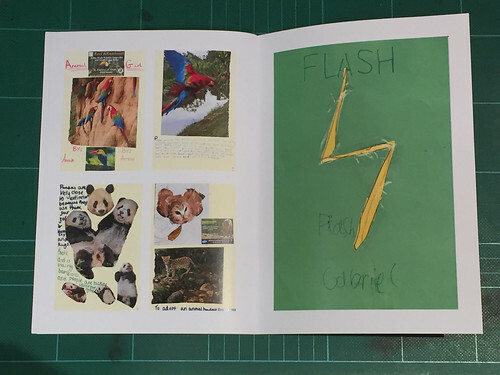 By the end of the day each of the children had a printed and bound copy of the zine – with everyone’s work in it – that they could take home. For most of them this was their first experience of publishing. 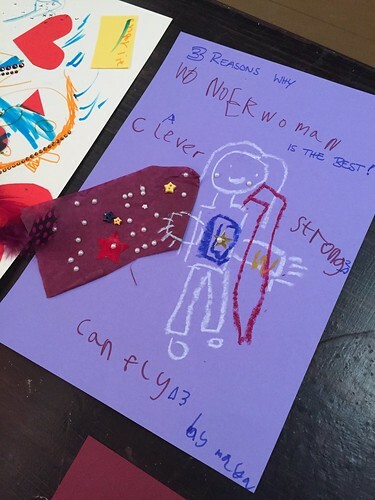 ‘Three Reasons Why Wonder Woman is the Best!’, created by one of 30 children affected by the Grenfell Tower disaster.